Bolaji Abdullahi, a former Minister of Youths and Sports Development under the administration of President Goodluck Jonathan, will launch his book ‘On A Platter Of Gold: How Jonathan Won And Lost Nigeria’ on Thursday, November 30, 2017, at the Shehu Musa Yar’ Adua Centre in Nigeria’s capital, Abuja. The book launch which is scheduled for 10am will attract frontline political actors, journalists, academia and a cross-section of Nigerians and the international community. The Chief Host and Host of the book launch are the President of the Senate, H.E. Dr. Bukola Saraki, CON and the Governor of Kwara State, H.E. Abdulfatah Ahmed respectively. Chairman of the occasion is the Governor of Borno State, H.E. Kashim Shettima. The Father of the day is the Emir of Ilorin, HRH. Dr. Ibrahim Gambari. The Chief Presenter is CEO and publisher of Ovation International, Chief Dele Momodu while the book reviewers are Prof. Adigun Agbaje and Mr. Azubuike Ishiekwene. The book will go on sale nationwide after the launch. Bolaji Abdullahi, a former columnist and editor with Thisday Newspaper is currently the National Publicity Secretary of the All Progressives Congress (APC). According to Bolaji Abdullahi, the book is an exclusive account of the “making and the unmaking” of Goodluck Jonathan’s administration. The book gives revelations of the intrigues that surrounded the 2015 presidential election and its aftermath. “On a Platter of Gold is part history, part political thriller, which answers many of the often-asked questions about Jonathan’s incredible rise to the highest political office in the land and his unprecedented electoral defeat in 2015,” Bolaji Abdullahi stated. 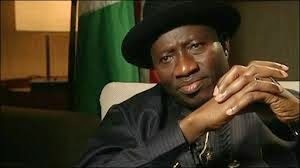 “Was Goodluck Jonathan weak and clueless, as his traducers have claimed? Or – as his supporters have alleged – was he just a victim of vicious conspiracies by an entitled cabal that would stop at nothing to bring down this ‘intruder’ to power?